Pratt in Venice on CBS! This past summer, Pratt in Venice students were filmed for a CBS segment on American students studying in Venice during the Biennale. CBS met a group of Pratt students at the Arsenale exhibition space, and followed the group while they explored the exhibits. Additionally, the reporter conducted interviews with some of the students. It was shown on the air Sunday, November 27th. To see the full clip, click here! 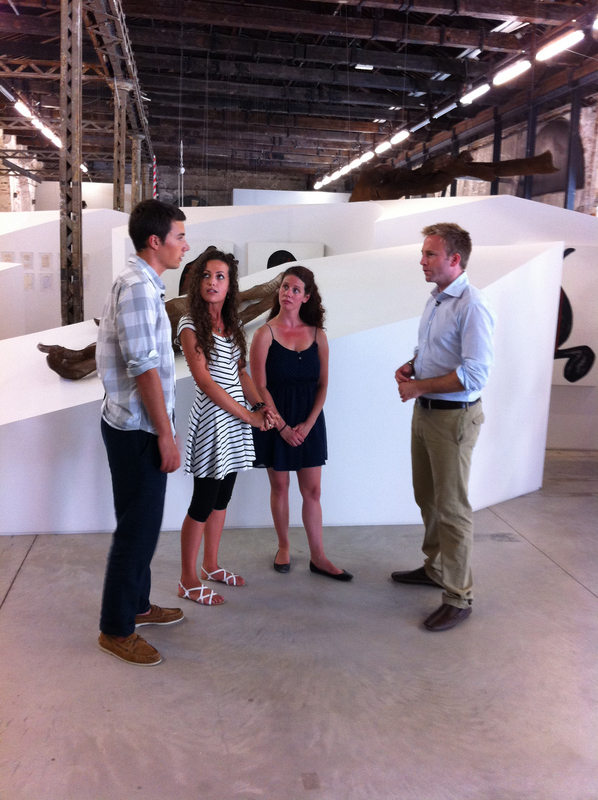 Art History Graduate Students Aurelia Moser, Jessica Kloville and Alex Watkins were interviewed by the CBS reporter.